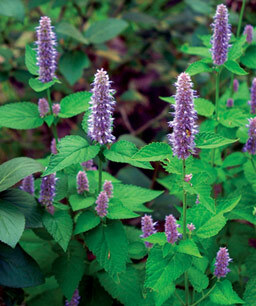 Agastache foeniculum, licorice mint or anise hyssop. Bring sugar and water to a boil, stirring until the sugar dissolves. Reduce heat and add fresh herbs. Simmer for five minutes. Cover and allow to cool to prevent aromatic oils from escaping. Steep overnight in the fridge. Strain and use as needed. Mix. Add ice and sprigs of fresh herbs and slices of lemon. Oh, yum. I sometimes make Chris a lavender+mint+licorice root or mint+lemongrass iced green or red tea. (I add them all to the pot, let it steep for a few hours, then add to a pitcher to chill, diluting slightly with water and a squeeze of agave syrup. 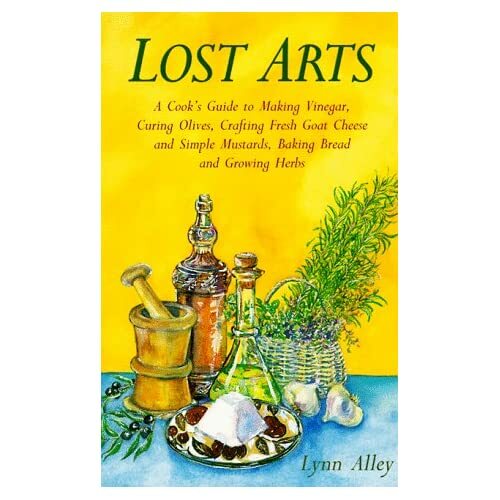 I wonder what the closest equivalent to anise hyssop is here to try this? the one i’m using is agastache foeniculum. there’s got to be an agastache there. there are many varieties. love the herb spiced teas, will try. schlurp. btw, knowing your special way with sandwiches, i’m working on one from alice’s tea cup in NYC: fig-olive tapenade, roasted cumin carrots, goat cheese, and black sesame seed semolina bread. i’ll let you know if it was worth the TRBBBBBBBBBBL.